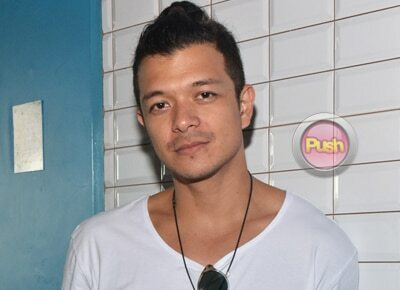 Jericho Rosales talks about working with Arci Muñoz on new soap. Jericho Rosales remarked that working with Arci Munoz has been a great experience, saying that the actress is very down-to-earth. "She's fun to work with, I have fun working with her. She's very humble, alam mo 'yun she always asks about the scene and about how to approach every scene," he said. He further added, "We kind of developed that good working relationship even the start pa lang. The start of the shoot medyo mahirap na agad 'yung task naming dalawa. We made it happen." Jericho and Arci will headline Never Ever Say Goodbye, to be directed by FM Reyes.The actress will be playing the role of a "probinsyana" who will pursue her dream of becoming a lawyer in Manila. Jericho will play her childhood friend. Besides his upcoming series, Jericho is also currently busy with his newly launched site Mr. Manileño. "It's my website on surf, motorcycl,e and lifestyle, 'yun ang brand ng website namin so it's bascially just me putting a spotlight on notable men, places, things to do. We’r' all about motorcycle, surfing and all the good stuff for men. "We do features and videos, it's a website really. It's a hub, it's a destination for men," he added.